A pioneer in the PV branch, Multi-Contact set the standard with its original MC4 connector, and over the past 20 years, over 120 GW PV power has been installed worldwide using this connector. However, there are numerous fakes or “copycat” Multi-Contact connectors on the market. It is often difficult to differentiate these from the original just by looking at them. However, technical comparisons show serious quality and safety flaws in the copies. These copies should therefore not be used for PV systems. Multi-Contact also generally recommends only installing pins and sockets from the same manufacturer together. There are no MC4-compatible connectors available from other manufacturers. According to research and reports from the field, a crossover connection entails a heightened safety risk. It can lead to a significant increase in electrical resistance, the consequences of which may include increased power loss, melting of the plastic housing, and even fires. The bottom line is that owners and investors are running a higher risk on PV projects, with a lower return on their investment. Additionally, a crossover setup means that TÜV and UL approval will be lost, and responsible individuals (installers, EPC, project managers, etc.) will find themselves on very uncertain ground in terms of legal compliance. In spite of this, some connector manufacturers continue to advertise allegedly compatible products with TÜV certificates on the market. 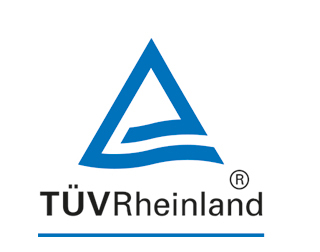 However, TÜV Rheinland clearly distances itself from these claims in the attached official statement.